Perhaps the best thing about gardening is that it’s four-dimensional: gardens are defined not only by their height, breadth, and depth but also by the fourth dimension—time. 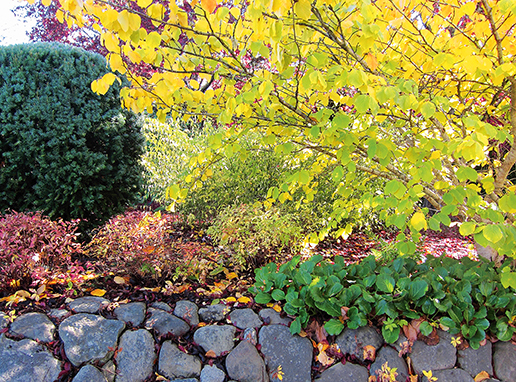 Different seasons, different rates of plant growth, additions and removals of specimens, the effects of a sunny day versus those of an overcast sky, and even the difference between how a garden looks in early morning light and how it looks in late afternoon—the passage of time means that every garden is in a constant state of flux. 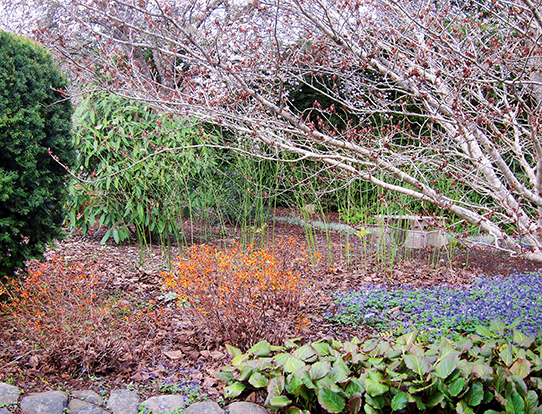 Two different kinds of time affect gardens, and both have major implications for gardeners. Linear time begins at one point and goes forward, as in the number of days from a seed to a ripe tomato or the number of years before a magnolia blooms. Some plants naturally grow very quickly—usually, the shorter-lived the plant, the faster the growth—while others grow excruciatingly slowly. When planting a new garden, it’s always a good idea to start with the plants that will eventually be the largest, longest-lived, and least movable: trees. It’s very easy to be seduced into planting a young, blooming, newly purchased tree where it would look perfect, such as in that blank space close to the front door. But trees grow. A lot. In a few short years, when the tree is too big to transplant, the choice will be either hacking off tree limbs or ducking every time you go in or out. Fortunately, most plants now come with labels indicating their mature size; unfortunately, “mature size” can vary considerably according to the source. Even if all sources agree, the stated numbers don’t always indicate the plant’s ultimate size: most plants are considered mature in 10 years. This matters a lot with trees, larger shrubs, and some plants—especially evergreens—that cannot be pruned easily. 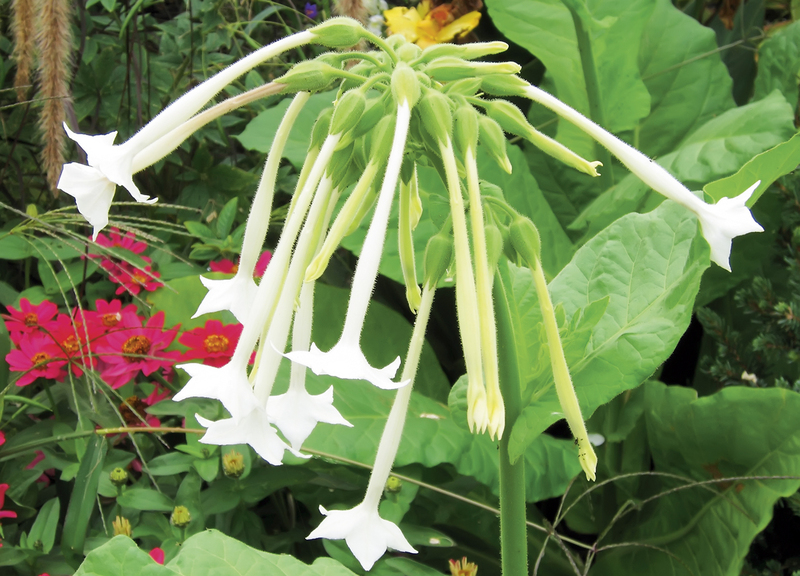 It always pays to look up a large plant’s eventual maximum rather than its mature size, using several sources, especially those geared to your local climate. 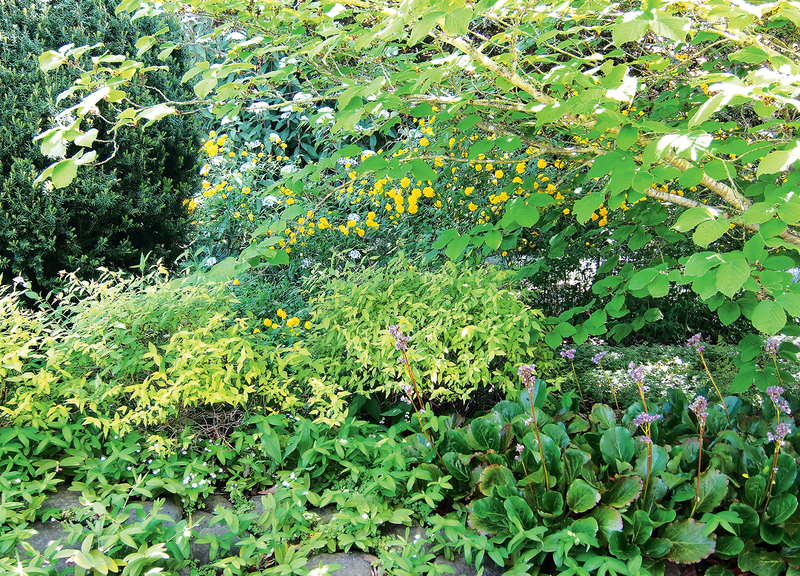 Even then, allow extra width when planting anywhere near an immovable object such as a building or well-trodden path. Always use a tape measure: it may go against the grain of wanting to place a specimen where it looks right to you, but estimating horizontal distance by eye is notoriously unreliable. Estimating vertical distance (and imagining that cute little infant plant reaching a stated mature height) is even harder, but again, this is necessary, especially for larger plants. Overhead wires are a common hazard, views may need to be preserved, and porch overhangs are generally lower than they seem. For convenience in visualizing mature heights under 1.5–1.8 m (5–6 ft.), use reference points on your own body, such as your waist, your chin, and the top of your head. For taller heights, pick a fixed reference point such as your garage roof, measure it, and use that as a rough guide. A well-planned (that is, well-measured) garden may look funny at first, with so much seemingly blank space between plants, but these spaces can be temporarily filled in with annuals or ground covers. The reward is that the overall garden structure will still work wonderfully in five, 10, or 25 years. In gardening, you don’t need a crystal ball to see into the future. Just a tape measure. Once you’ve chosen the main structural plants, the real fun begins. Thanks to the changing seasons, it’s possible to have two, three, or even four gardens in the same space. Accomplishing this, however, takes time. It’s sorely tempting to rush out and fill in every available space with plants that all bloom in late spring, but restraint produces much more satisfying results. 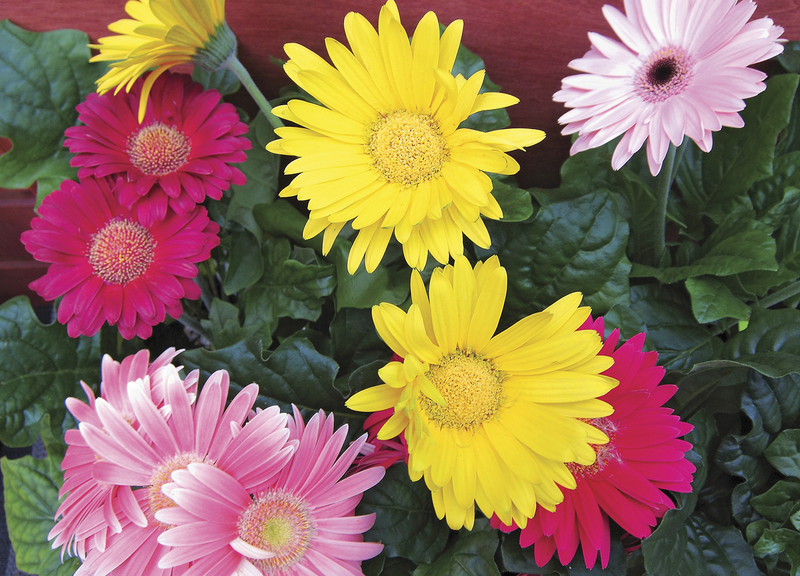 Choose a few must-haves for spring, plant them, and then wait for summer. What does the garden need now? Some hardy shrub roses, or some uniquely coloured foliage, or maybe a short conifer hedge? 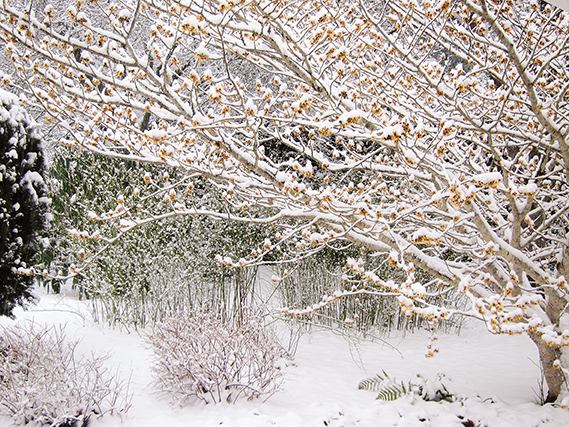 Do the same for fall and winter—yes, there are many plants with winter interest—and repeat as needed. One good way to double up on space is to choose plants that have two- or three-season interest, such as spring blooms and colourful fall leaves, or foliage that changes colour through the seasons. Another is to team up early spring bulbs such as daffodils with summer-blooming perennials that cover the fading bulb foliage—or conversely, adding summer-blooming bulbs such as lilies to spots where early spring perennials have faded away. Theoretically, gardens repeat themselves endlessly in the cycle of the seasons, but the reality is that they never do. Plants grow at different rates and respond differently to climate and weather variables, not to mention to the growth or removal of nearby plants. 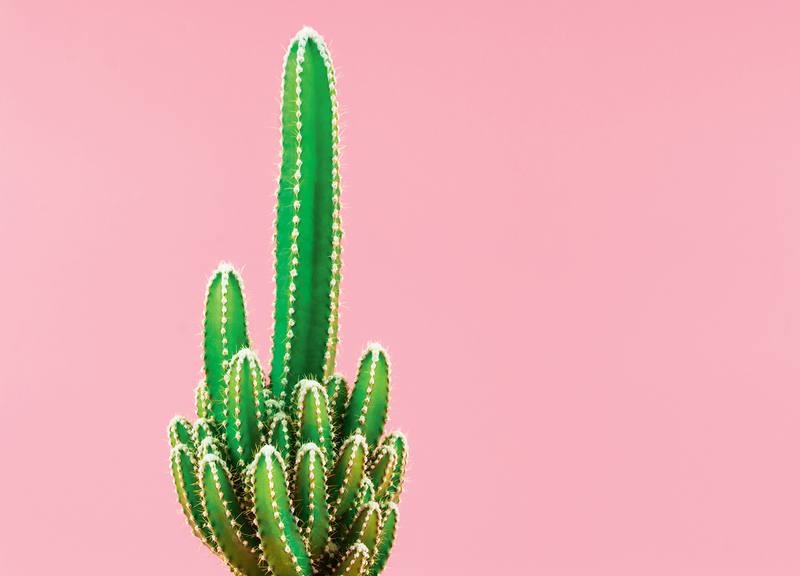 Mother Nature adds her own variables, with some plants triggered into bloom by the angle of the sun—which remains constant year to year—and others by soil and air temperature, which varies widely from one year to the next. Each year may produce a familiar-looking garden, but never an identical one. As the gardener gradually transforms the garden, so does the garden transform the gardener over time: the longer you garden, the more you get out of it. And it’s never too late to start.